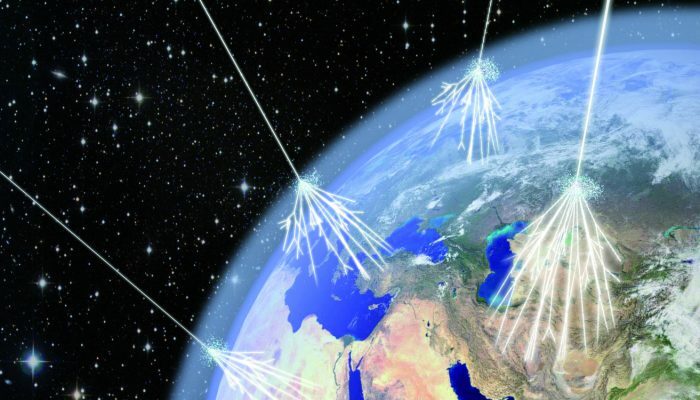 Artistic representation of cosmic rays entering the Earth's atmosphere (Credit: Asimmetrie/INFN). Cosmic rays (CRs), are not actually rays, but highly energetic charged particles of extraterrestrial origin. 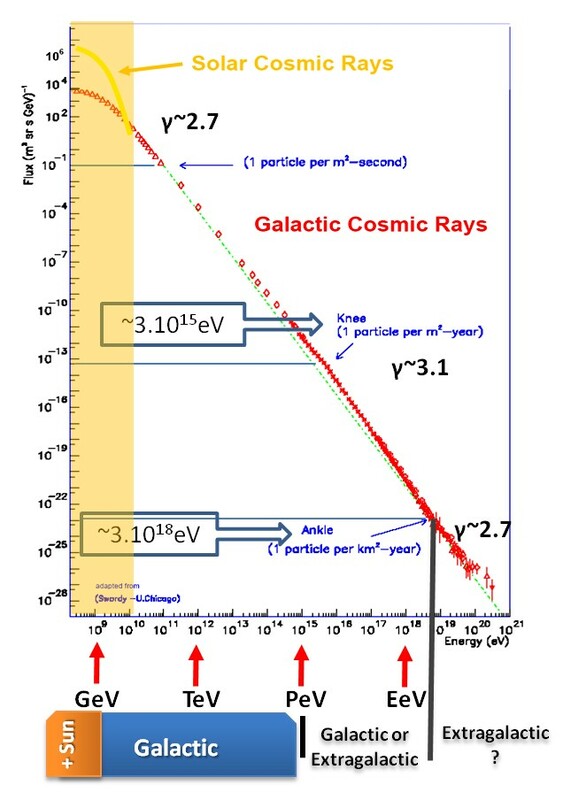 The life cycle of a cosmic ray particle starts with its birth at some point in the Universe, its travel at nearly the speed of light and finally with its death ( e.g. at a detector). 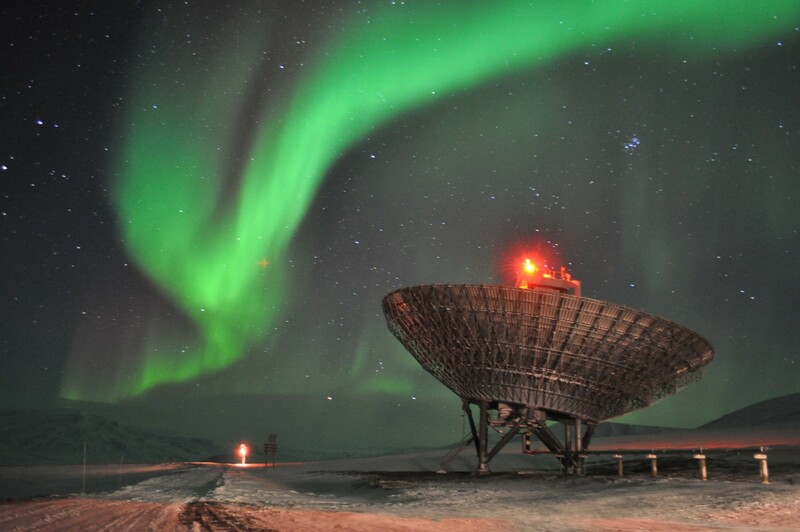 These highly energetic particles strike our planet from all directions and thus provide a constant background. In practice, this means that thousands of cosmic ray particles pass through our bodies every minute, but the resulting radiation imprint is relatively low if we compare this to the natural background radiation. Sources of CRs, encompass the Sun, our Galaxy and beyond. As a result, these charged particles span almost ~35 orders of magnitude in flux and ~14 orders of magnitude in energy. This, means that we need many different experimental devices (e.g. spacecraft data, neutron monitors, muon telescopes, AMS02, PAMELA, TRACER, IceTop, Pierre Auger Observatory and many more) to capture the entire spectrum of CRs and at the same time this offers many opportunities to evolve our experimental/detection set ups and our understanding. We measure the energy of CRs in eV (electron-Volt: it corresponds to the energy gained when an electron is accelerated through a potential difference of 1 volt). Based on the energy of CRs, we can identify the origin and map different parts in the spectrum. For example, above a few GeV/nucleon, the energy spectrum of CRs follows a power law proportional to E−2.7. At ∼1015 eV there is a break in the spectrum, which is typically referred to as the “knee”, below this energy CRs are of Galactic origin. From the “knee” up to ∼1018 eV the power law falls as E−3.1. 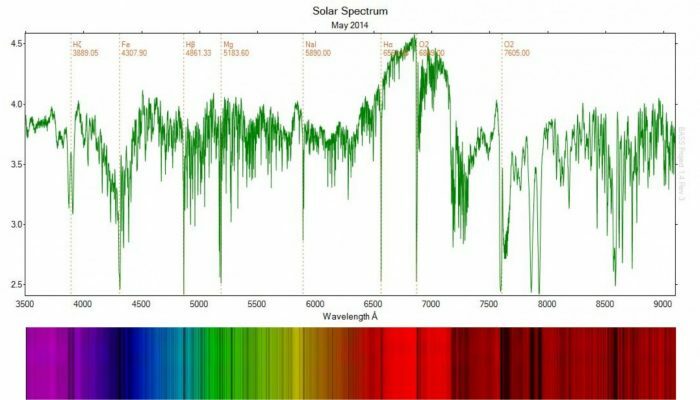 A second break in the spectrum occurs at 1018 eV, usually called the “ankle”, where the spectrum flattens. At this energy it is possible that the particles can be of extragalactic origin. The CR spectrum continues up to ∼1020 eV, which is the current high-energy limit for CR observations. The spectrum of CRs, denoting the different components and sources (Credit: A. Papaioannou, adopted from the CR spectrum by S. Swordy). Low energy (up to ~1015eV) Galactic CRs (GCRs) are most likely accelerated in supernovae (SN) shock waves which occur approximately once every 50 years in our Galaxy. GCRs are the only matter originating from outside our solar system that can be studied directly. Thereby, their composition and energy spectra can be used to determine their sources, acceleration mechanisms and transport processes in the Galaxy. However, since CRs are charged particles those are deflected by magnetic fields. This, in turn, obscures the identification of their actual source, since their travel paths have been randomized. 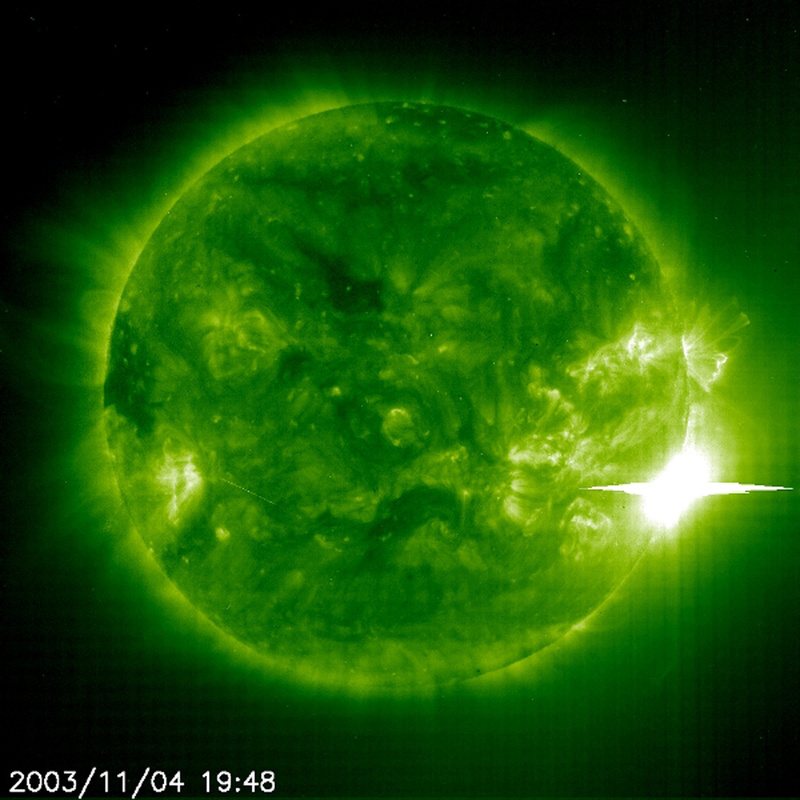 At the same time the Sun is an additional sporadic source of energetic particles, often termed as solar CRs (SCRs) and/or Solar Energetic Particles (SEPs). 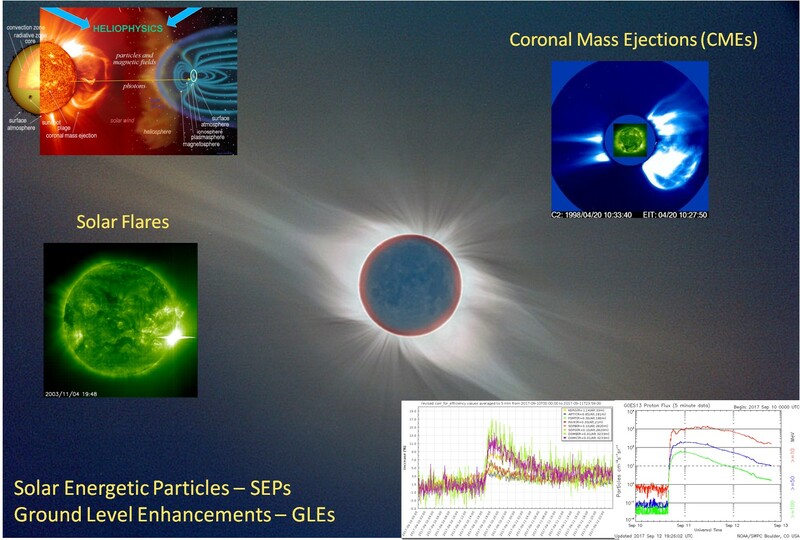 These particles are accelerated by shock waves driven by coronal mass ejections (CMEs) traveling through the corona, and by the magnetic energy that is released in solar flares. When a CME occurs 100 million tons of hot coronal gas is suddenly ejected into space at speeds of 1.6 million km per hour. SFs are observed in white light, UV, soft and hard x-rays, gamma-rays, neutrons and radio waves and hence cover the entire electromagnetic spectrum. 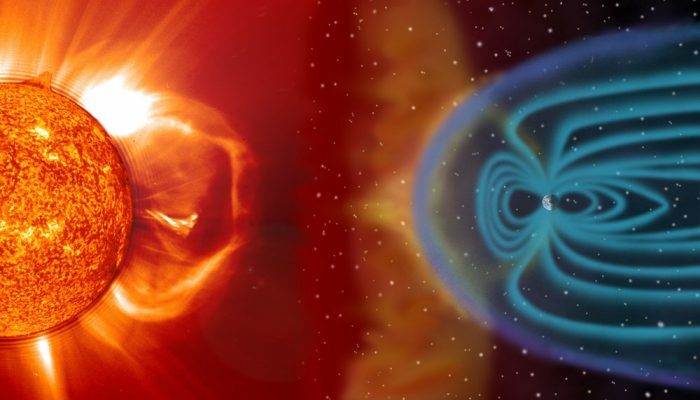 When CRs penetrate into our solar system, those are affected by the interplanetary magnetic field (IMF), which is embedded in the solar wind blowing from the Sun. Therefore CRs have difficulty reaching the inner solar system and Earth. Solar activity (and the rate of CMEs and SFs) varies over the 11 year solar cycle, leading to a variation in the intensity of CRs at Earth, in anti-correlation with the solar activity (as represented by the sunspot number). Furthermore, the interplanetary counterparts of propagating CMEs reduce the GCRs flux, leading to a decrease known as the Forbush decrease. If CRs are energetic enough and reach the Earth’s atmosphere, undergo collisions with its atoms and produce a cascade of secondary CR particles that shower down through the atmosphere to the Earth’s surface. These secondary CRs include pions, electrons and positrons. The number of particles that reach the Earth’s surface is related to the energy of the primary CRs that made it to the upper atmosphere. The deeper the particles penetrate into the atmosphere, the more energy they lose. A SF and/or a CME may result to an intense flux of SCRs, which gives ground to an SEP and when recorded on the Earth’s surface, to a Ground Level Enhancement (GLE). GCRs, being messengers from space, hold a key for the greater understanding of our universe, since the most exciting frontiers of astrophysics involve physical processes and environments that are not reproducible in the laboratory. In addition, CRs carry information from their interaction with the magnetic irregularities they encounter en route to the Earth and help us track our heliospheric environment. They also quantify the radiation levels encountered by air crews on flight altitudes and by astronauts in space. 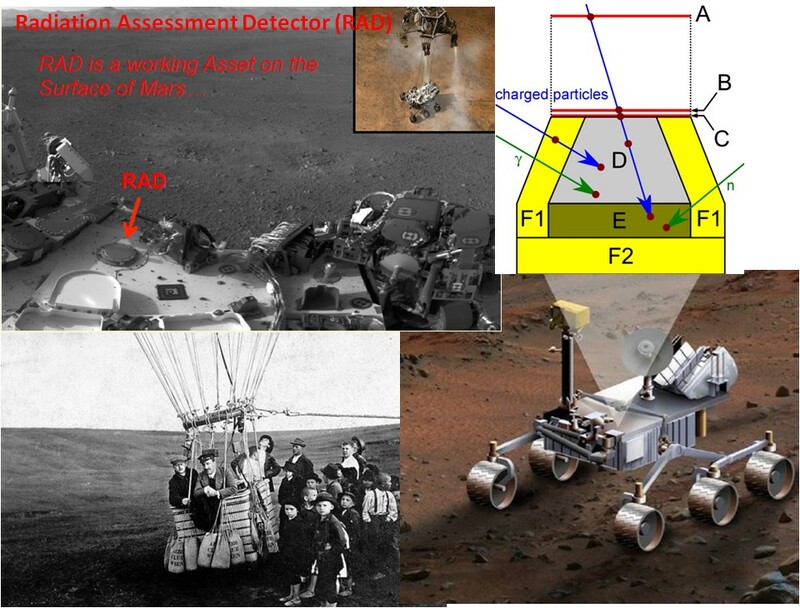 In August 2012, 100 years since the discovery of CRs from Victor Hess, the Radiation Assessment Detector (RAD) onboard the Mars Science Laboratory (MSL) measures for the first time CRs on the surface of another planet. A thrilling new era has already began ! 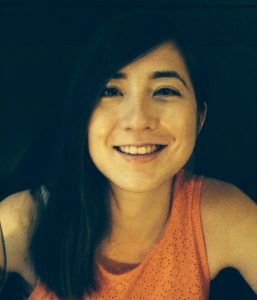 In this month’s (first ever for our blog) Life of a Scientist interview, we are very happy to talk to Dr Miho Janvier, a Researcher at the Institut d’Astrophysique Spatiale in Orsay (France), whose work has shed some light on the understanding of solar eruptions and coronal mass ejections (or solar storms) from their birth in the Sun’s corona to their evolution in interplanetary space. Additionally, Miho has actively taken part in Educational & Public Outreach efforts and has co-created an outreach project on Solar Storms using Virtual Reality technology. Miho, can you please say a few words about yourself? I am currently working as an associate astronomer at the Institut d’Astrophysique Spatiale in Orsay (France). My main research interests are the understanding of the fundamental mechanisms of how solar flares occur, and how to better characterize the solar storms they send in space. My research work is quite varied, as I get to work with computer simulations as well as space mission data, and for the analytical part, it’s back to pen and paper! I am also involved in the next European Space Agency mission to the Sun called Solar Orbiter: with the team at my institute, we are responsible for the operations that will be carried by one instrument (SPICE) onboard the spacecraft. I also teach at the University and am involved in outreach projects. 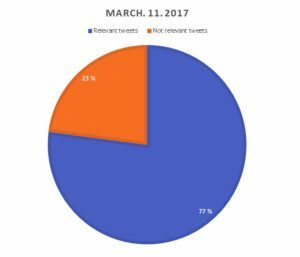 What is a “typical” day in the life of a scientist? Describe one of your “usual” days. It is difficult to describe a usual day because every day happens to be completely different from another! When I am not at a conference, I generally check and answer the most pressing emails in the morning, while my favorite tea is brewing. I would generally dedicate a few hours for research before heading to lunch with my colleagues. I love these moments of socializing, as the rest of the day can be spent alone in front of a computer! 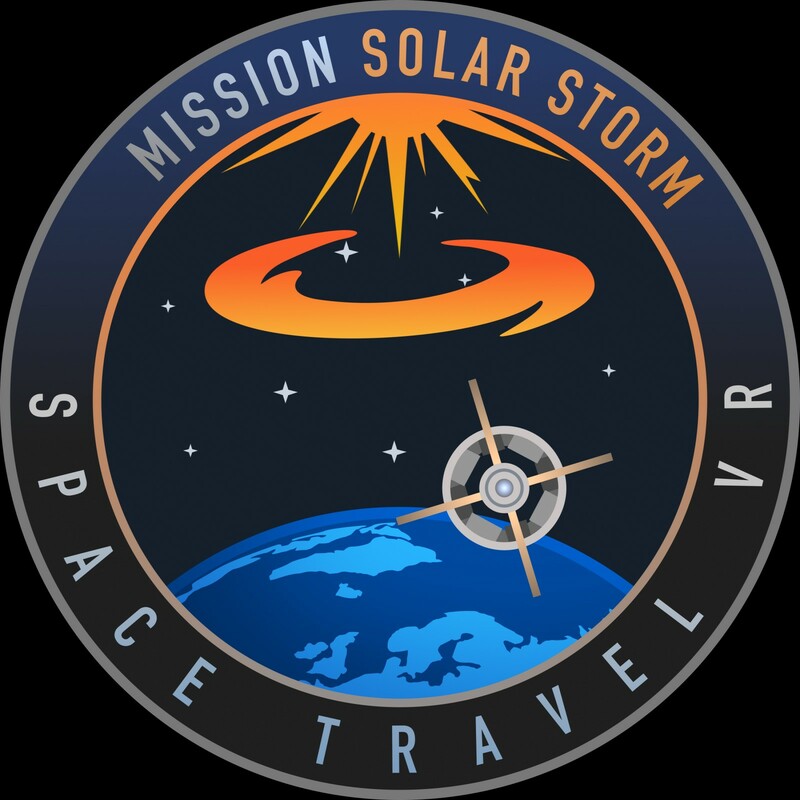 Depending on the days, I may have a meeting in the afternoon, either to discuss the preparation of operations on our instrument for the Solar Orbiter mission, or to discuss new outreach projects, or to dedicate some time for the lab communication team, in which I am involved. This is also the time I answer emails that need a longer thinking time. First of all, satisfy my inner curiosity about the universe! This is the one reason I wanted to become an astrophysicist in the first place. Funnily, the more research I do, the more questions I have. It is a never-ending process. On a more practical level, I want my research to matter for different reasons. 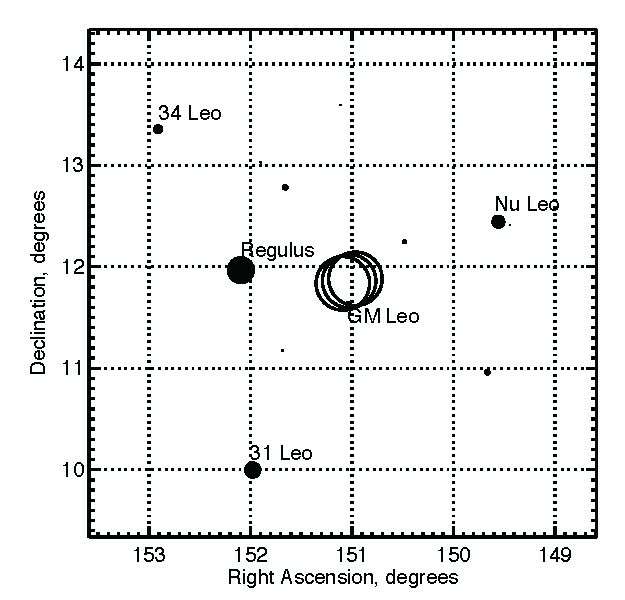 First, to better understand what it means to live in the neighborhood of an active star that is the Sun. 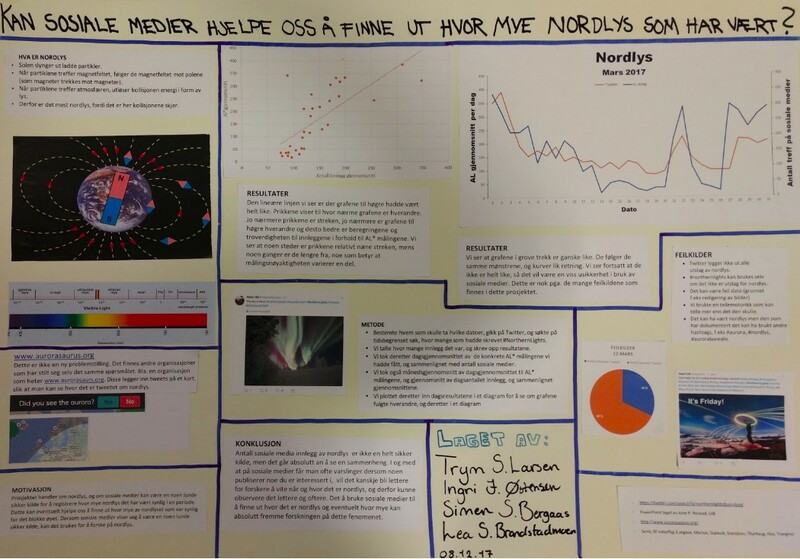 Secondly, not only will this help us to build the tools for space weather forecasting that are important for human societies, it will also help us understand how planets in the solar system react to the Sun’s activity. And ultimately, this research will help assess the conditions of life in other star systems too. Why did you become a scientist and what drew you to this field? As a child, I was always fascinated by the night sky. But it is not until I turned 9 and discovered the TV show X-files that I became a big fan of aliens. It may sound weird, but that was my first motivation for becoming an astrophysicist! Of course, the word “aliens” may sound like a joke, but in the bigger picture, what I mean is that questioning the existence of life in the universe is, to me, one of the most fascinating questions in life. Later in my studies, I really liked the aspect of plasma physics, where the behavior of an ionized “fluid” is affected by an electromagnetic field (and I did like working with Maxwell’s equations). I finished my PhD in plasma physics as the space telescope Solar Dynamics Observatory was in its first mission years, sending us extremely detailed images of the Sun and its beautiful eruptions. It just seemed natural to turn to solar physics! To be more confident about yourself, and for this, to build a support network along your career. A few years ago, I came across the expression “impostor syndrome” and realized that the pressure we have, as young scientists, can be daunting. 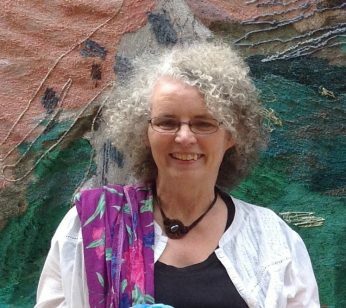 As a woman in science, I also realized along the years that there are still a lot of stigmas and unconscious biases in science that can make you feel like you don’t belong to the field. Creating a network of colleagues, friends (and the two can intersect!) and self-care routines will help you go through the times when you have doubts. 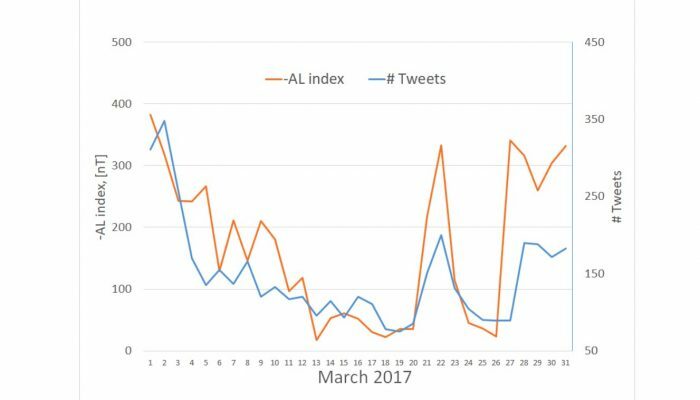 What do you consider as the most surprising result in your research so far? A few years ago, with the team I was working with at Paris Observatory, we analyzed the mechanisms happening during flares (what we call magnetic reconnection, in three dimensions). We expected a specific behavior of the Sun’s magnetic field in flaring regions from our numerical simulations. 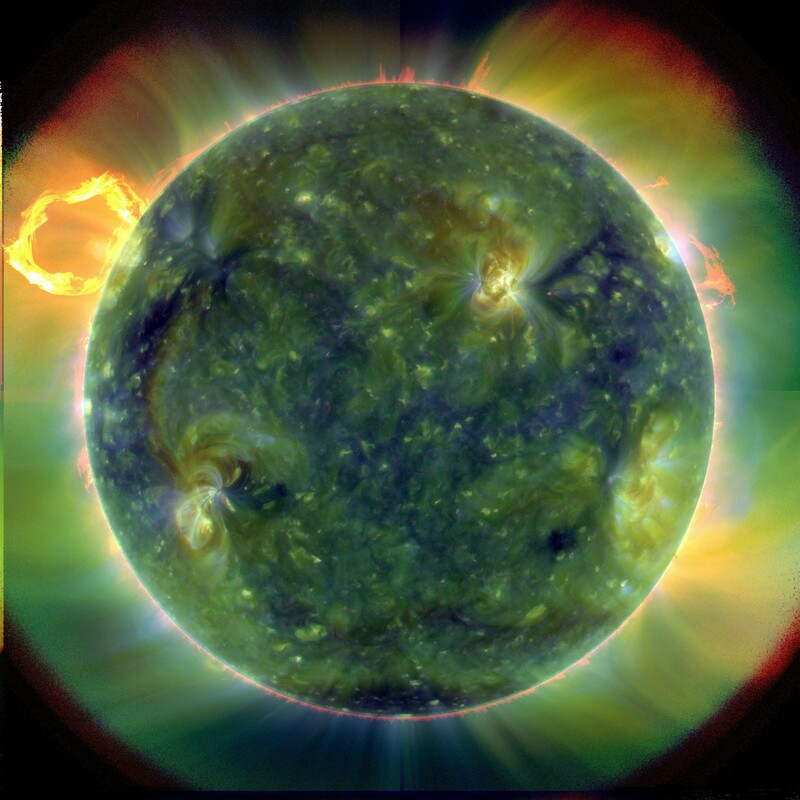 This was later confirmed with observations from the Solar Dynamics Observatory space telescope by one of our colleagues, who is indeed a keen observer! Away from my desk, I love travelling. As a kid, I had the incredible chance to live in several countries on 3 different continents. So I get itchy feet when I am staying too long in the same place. I am just back from Tanzania, where I was lucky to walk with giraffes and bathe in turquoise waters: that definitely made me forget the Sun for a few days! Fortunately, as a scientist, I get to travel a lot for conferences and collaborations, so I get the best of both worlds. I love doing sport (from snowboarding to a more quiet yoga sessions), music (we have a secret band with some other astrophysicists friends, but I can’t tell you about it as it is secret!) and especially dancing. Can you please explain the SolarStormVR project in more detail? SolarStorm VR is a project I started when as I was living in Scotland. It started with me meeting a talented moviemaker and talking about doing a project together. I was interested in bringing storytelling as a way to communicate about the science we do, and we thought of using Virtual Reality to excite the young audience. We obtained some funding and spent countless nights working on the project. I keep a lot of good memories from it although it was quite strenuous! 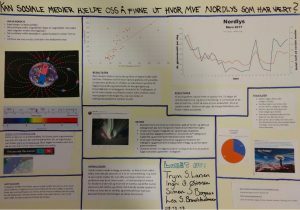 As I moved to Paris for my current position, I had to juggle my new science career with touring in science festivals to present our project, which meant a lot of sleepless nights. But the smiles on our visitors’ faces were totally worth it. The project is still alive throughout the website (www.solarstormvr.com) where anyone can either download the video or watch it on YouTube 360. How important is science outreach to your career? For me, it is very important for several reasons. First of all, I have a passion for what I do and I feel lucky to have a job that is more a passion than a work. In that respect, I want to share this passion because I find space awesome! Many times however I hear that “science is too complicated” or “I was bad in physics/maths”: for some, science seems like an obscure, incomprehensible field that is secretly kept away from the public in an ivory tower. I want to change that. Giving the chance to anyone to understand how science is being done, to make them participate, is allowing anyone to have critical thinking, which is even more important nowadays with unlimited access to real or fake facts on the Internet. And finally, in astrophysics, the majority our funding is public money. It is our duty as researchers to give back to the society that allows us to do the job we do. For young students: science literacy you already have, it is a skill you build. It requires hard work but I believe anyone can become a scientist. Don’t give up if it is your dream.For older students starting a scientific career (PhD students), same advice as my younger self: build a support network; don’t hesitate to ask people to mentor you if you feel you need it. You are in for the long run, so better work with people you trust, who can help you through tough times, and who you will be sharing a drink (or many) at conferences! Some of my best friends are in the field, and they make the job even better! The next solar eclipse is upon us. On August 21 the moon will pass between the Sun and an observer’s point of view in America and block out daylight, creating an eerie gloom in the sky. The transit of the moon between the Earth and Sun occurs about every 18 months, but for your particular city it can take several hundreds of years before a new eclipse occurs. The figure below shows the paths of all solar eclipses that occurred or will occur during the 2001 to 2020 period. 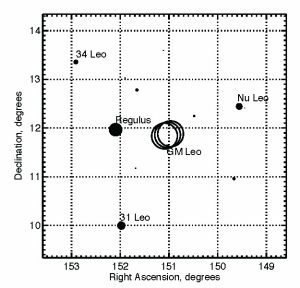 Few eclipses happen around the North or South pole due to the orbital geometry of the heavenly bodies, so proportionally the odds are higher to experience midday darkness if you live at low or mid latitudes. However, since about 71% of the Earth’s surface is covered with water, most of these eclipses occur at places where no one lives and go by unnoticed. Unless you travel to them! People have long been fascinated by solar eclipses and records in history have been found as early as 2000 B.C. Throughout history researchers and science enthousiasts have travelled the world to watch eclipses, endeavours which were much more difficult in the early days than with nowadays commercial flights. Maybe you are travelling as well to watch this eclipse. By studying the sun and the eclipses, scientists can look at features of the solar atmosphere that are otherwise hard to observe from the ground due to the intense brightness of the Sun. 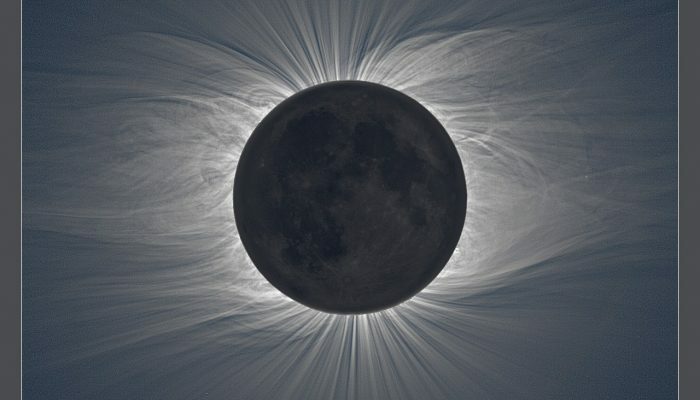 Discoveries made during eclipses include observations of the outer parts of the solar atmosphere (solar corona), flames of fire from the sun (prominences, jets), radiation other than visible light (infrared, UV) and otherwise invisible comets travelling around the Sun. 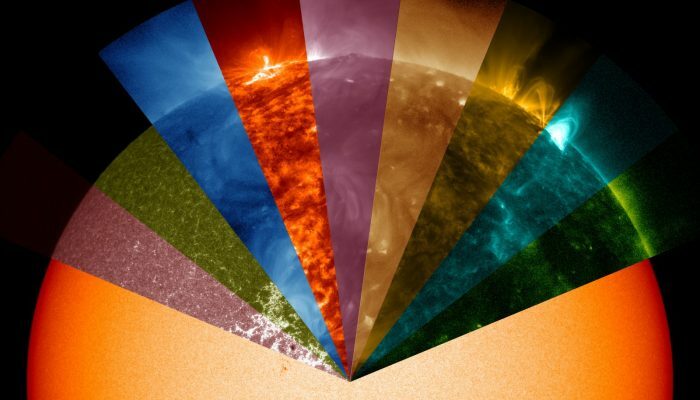 During the 1868 eclipse a yellow spectral line was discovered by J. Lockyer in the solar chromosphere from a yet unknown chemical element that turned out to be one of the most abundant chemical species in our universe. He named it after the Greek word for the sun (helios) and it took until 1895 before helium was discovered on Earth. Even today, scientific knowledge is being advanced by studying the solar eclipse and the effects on our nearby space environment and Earth’s atmosphere. When the moon eclipses the Sun, the illumination over a localised region will change rapidly and Earth’s atmosphere will react to this decrease in solar energy. One such reaction that occurs is in the ionosphere, the higher most reaches of the atmosphere. 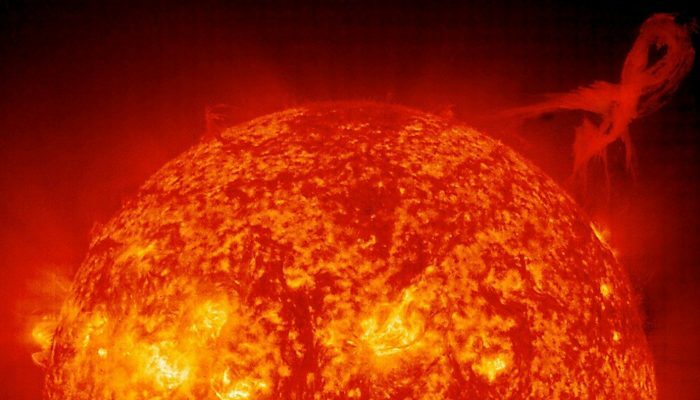 Solar ultraviolet radiation creates a dynamic layer of charged particles that reflect telecommunication transmissions at very low frequencies around the world. Understanding how this layer reacts to changes in solar radiation can enhance our understanding of the ionosphere and hopefully improve the region’s dynamics in model simulations. The direct blocking of radiation will also have a profound effect on the total amount of radiation that is received by the surface as well on the amount that is reflected back to space by the oceans, clouds and atmosphere. Changes in this radiation budget can in a unique way be investigated during the solar eclipse. Studying these variations, in for example temperature or radiation, during an eclipse are useful to test our current understanding of the Sun’s effect on the atmosphere. 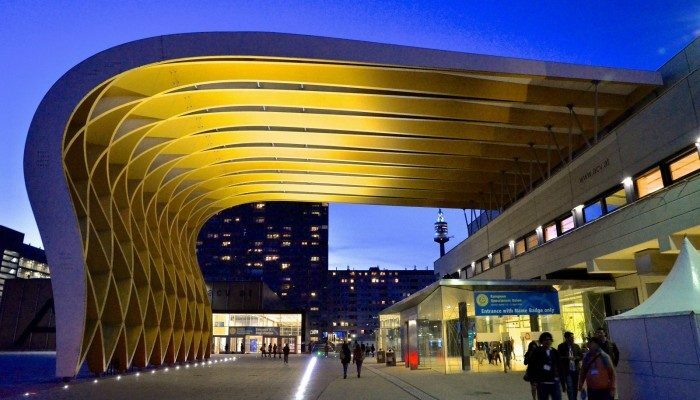 Not only academics, but also citizens can contribute to advances in solar-terrestrial science. The Megamovie project aims to create an open-source archive of nearly 1.5 hours continuous solar eclipse. With this dataset new features in the solar corona on long and short time scales will hopefully be discovered. So, what will you do on 21 August 2017? Watching the eclipse from your hometown, travelling to the path of totality from across the world or take part in any scientific contribution as citizen or researcher? Hopefully you will enjoy the magical moment and experience something new!